Our Story Sports Arbitrage Australia Story - $21k in just 8 weeks! On the internet you can find numerous articles/blogs/forums dedicated to sports arbitrage, after all there are thousands of full-time arbers across the globe. However, none are tailored to Australians and importantly none offer up the true experience of an arber. There is limited information about the intimate details of an arber’s life, and little mention of how much profit can be made from arbing. Sports Arbitrage Australia believe in the sharing of information and assisting others to achieve success. Experience has provided us with a wealth of information and an understanding of the industry, betting, arbing, dealing with bookmakers, and most importantly ensuring your cash is always safe. Our story below provides an insight into the life of an arber. There were many high moments, a few low moments, and a couple of lucky moments. Our story details everything, we don’t gloss over the mistakes we made as the lessons learned contributed to our how to arbitrage guides. Members benefit from our in-depth knowledge to avoid making similar mistakes. Remember, there is a reason we stuck to Australia: the Australian government strictly regulates our gambling industry and you can be assured that your money and identification is safe here. We knew we could always get access to our cash, no matter what. That’s not to say that there aren’t reputable sports bookmakers offshore – far from it – however, we are aware of unreputable offshore agencies refusing to return punters funds. Members of Sports Arbitrage Australia get access to a list of reputable sports bookmakers. Don’t worry – we hadn’t either. Coming from a finance background we understood the concept of arbitrage opportunities in the share market but had never considered it in relation to sports betting. We had a few accounts with Australian bookmakers plus the odd Betfair account. We liked the idea of Betfair and the ability to close out a wager appealed to us, but we rarely did it. We were your typical punters, betting on tennis, cricket, rugby and of course the Melbourne Cup. 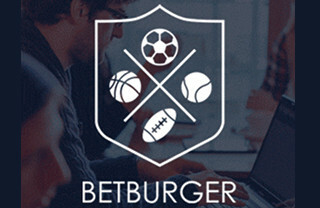 We assumed that to be successful at betting you needed to have defined strategies and specialise in a particular sport that you were passionate about and had detailed knowledge about. Reviewing a number of sporting codes we begin writing and implementing betting strategies, not all worked. Then one day we were given a “hot tip” on a horse. We jumped online to find the best odds, and discovered a discrepancy in the market. 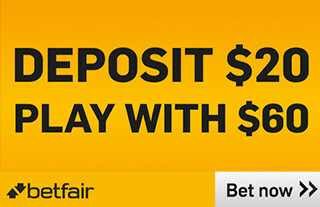 A prominent Australian bookmaker was offering odds of $2.20 for the win; Betfair offered a lay on the same horse for $1.80. This provided an opportunity for us to make a guaranteed profit! Our eyes had been opened to the world of arbitrage. Further research leads us to appreciate that these opportunities occur far more frequently in sports markets than horses. Get rich quick? Where do I sign up! Wow – the initial concept of sports arbitrage sounds like the honeypot at first. Make 3% per day, every day. Being cautious and ever aware of the saying “if it’s too good to be true it probably is”, we tentatively dipped our toe in the water. Even with the 20 minute delay there were arbitrage opportunities that we could take advantage of and profit from. We paper-traded the arbitrage opportunities listed for a week to confirm that the odds provided were obtainable, and that we could guarantee a profit. After successfully paper-trading we decided to place real money bets. We decided to initially fund the idea with $1,000. Our first arb was an English Premiership League game, over/under on goal difference. We knew the teams, managed to line up the two bookmaker websites and exposed 10% of our kitty to the arb for a 3.2% profit. We eagerly turned on our PCs the next morning to see the result from the game and hoping to see one of our bookmaker balances up. Relief!!! It worked – almost surprised and stunned that one of our accounts had profited, we thought this is it. It only takes a few days to gather enough courage to start betting hundreds per game. We became more confident and rolled from one game into another, not caring if we were betting on an English Premiership League match or a 2nd division Brazilian match between the ‘unknown’ and ‘who cares’ teams. It was just so easy, the time delay for reporting odds did make things a little stressful in ensuring that we lined up the two bookmaker websites in time and then hoping the odds didn’t move before placing the bets. Our kitty was growing quickly. We were averaging 5 arbs per day and on weekends up to 25. Our kitty made $5,000 profit inside of two weeks and arbing was providing us a great adrenaline rush. We started dreaming of cars, boats and mansions. We decided with the cash rolling in, risk free profits of $200+ per day from only 3-4 hours effort, and double on weekends, that we needed to step things up. Timing was becoming everything, we needed more opportunities, and with us now placing significant dollars on each arb we wanted as much time as possible to lock in those profits without fear of the odds moving. We decided to buy a real-time data feed for arbitrage opportunities – no more 20 minute delay. Arb opportunities increased exponentially with the real-time feeds. Profits rolled in and life was good. 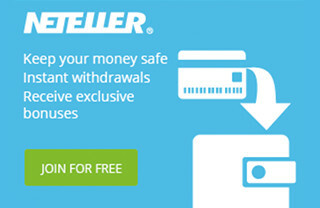 We expanded the number of Australian bookmakers with which we opened accounts. 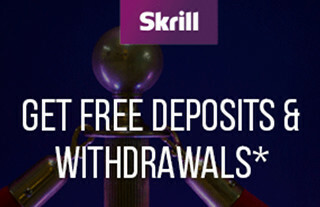 We maximised the sign-up bonuses and free bets that Australian bookmakers provided and then when researching additional bookmakers we came across an offshore agency which very quickly became our preferred bookmaker – Pinnacle Sports. Pinnacle Sports are one of the largest online sports bookmakers in the world, have an impeccable reputation, and most importantly like arbers. All of a sudden “sports arbitrage” wasn’t a dirty word. 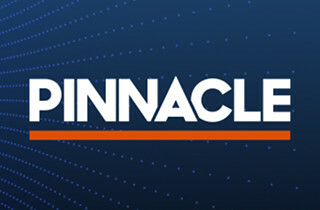 Refer to our detailed review of Pinnacle Sports and why they are rated so highly as a sports bookmaker. Money was rolling in – it was almost addictive. The first mistake: wasn’t this meant to be risk-free? Things go wrong. This wasn’t meant to happen. Mistakes will happen and this is why we devised our lessons. Read them, and then read them again. So how did we get it wrong? Remember, knowledge is key – and at this stage we didn’t have all the knowledge we have now. We were novices playing with the big boys. You see, there are a number of sports and betting lines inside each sport that requires extra attention. For in depth details of these view our sport arbitrage lessons. The morning routine had become systematic, wake up, roll over and turn the laptop on. 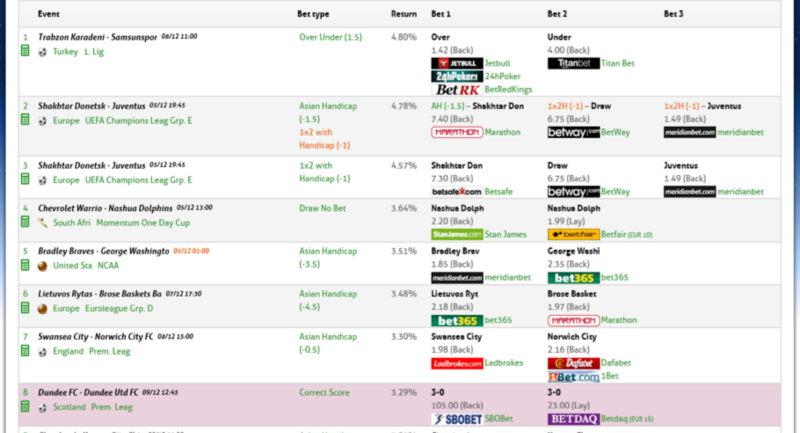 Check the bookmaker accounts, update our tracking spreadsheet for bets completed and cash positions, then get busy arbing. This morning was no different, except there was a arb paying 8.08% profit available in a baseball match starting in 2 hours. Now that was good money. We could lock in our money for the morning and go out to enjoy breakfast. Without wiping the sleep away we dived head first into the arb. Both bookmaker websites open, check to ensure the odds were available, double-check, triple-check and then commit a large portion of our kitty to the match. Now, unbeknown to us at the time, baseball is one of those ‘special’ sports where bookmakers payout bets based on varying rules. When arbing, the catch with baseball is that the two listed starting pitchers are the same on both bookmakers websites. Returning from breakfast believing $600 profit was locked in for the morning, the computer was switched on only to find that one of the bookmakers had cancelled one side of the bet and had returned the funds because the starting pitcher that they had listed did not start the match. 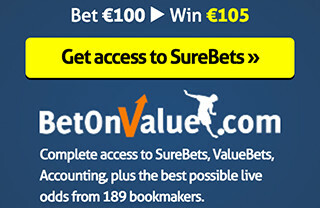 Rushing to the website of the other bookmaker, we found that side of the bet was still active. This meant we had an open position. This was never meant to happen. We were never meant to be exposed and definitely not to this extent. A mad scramble followed, trying to find a way to limit the exposure and potential loss. Three hours and a possible stomach ulcer later, the game was over. Lucky for us, our exposed position won. Fantastic for our bank account, terrible for our nerves. We didn’t consider this a win – more like a wake-up call. A handful more mistakes came after this, all different in their own way, and all could have been avoided had we had a deeper understanding of rule differences across the various bookmakers. Not just the written rules, but the unwritten ones as well. Our lessons cover these differences in depth. Remember mistakes can and probably will happen. They will hurt but the best way to avoid them is to read our lessons, and then read them again. Each mistake is not a game changer, you will still make an overall profit, just not quite as much as you could have. Arbing goes on with or without a bruised ego. What do you mean I’ve been limited? Then the day comes – think of the music from Jaws – you get limited by a bookmaker. You can’t put your finger on it, but you’re sure that you were able to bet more on Lithuanian handball yesterday. What gives? A few days later your betting limits drop further. Your maximum bet on all sports with this bookmaker is now $3! It’s like when you’re childhood sweetheart breaks up with you – you thought it would last forever but now you’re left with an empty feeling in your stomach. You’ve been punted – time to move on. As this happens, it reinforces why Pinnacle Sports became our preferred sports bookmaker. They will never limit you – it’s one of their guiding principles. Over time you may come to realise that your sports arbitrage experience is not forever. There are things that you can do to make it last longer, but in time the soft bookmakers will limit your account. Regardless of your betting history or approach, at some point in time you will struggle to make as much as you did in the early days when it just seemed so easy but you were so cautious that you didn’t take full advantage of the situation. You do whatever you can to maximise the remaining profits. A healthy profit of just over $21,000 in less than two months. An average of 10 trades per day. Time spent in front of the computer was Monday – Friday from 9pm – 11pm; and Saturday – Sunday from 9pm – 2am. When we say “in front of the computer” the reality is that we sat on the couch watching late-night TV with a laptop nearby and when an arb ‘beeped’ at us we grabbed the laptop, executed the arb, and less than five minutes later were back watching TV again. Sports Arbitrage Australia does not endorse or support individuals who register more than one account per bookmaker. That is, the use of family and friends ids (with or without their permission) to create additional bookmaker accounts with which to arb from. Is it technically possible? Yes. Is it illegal? PROBABLY YES! for the programmers out there you could always build your own bot to arb the sharp bookies.